When I was growing up some of my family was of German descent and we had “German dinner night” every week. My favorite menu was sauerkraut and potato cakes with brats. Heat up a pan with the butter add shallots, let them sweat. 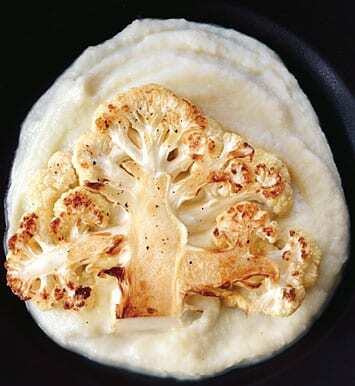 Add in cauliflower, cream. Let simmer until cauliflower is soft.